Did you light this from behind? Love how that adds depth to the picture. That's a great closeup shot. What I love about this shot is the glow in the middle of the flower. It is almost magical the way the seed heads just emanate from the center. Focus and contrast are terrific. Beautiful! Congrats on your new 3rd-best score, too! The lighting seems flat and murky. 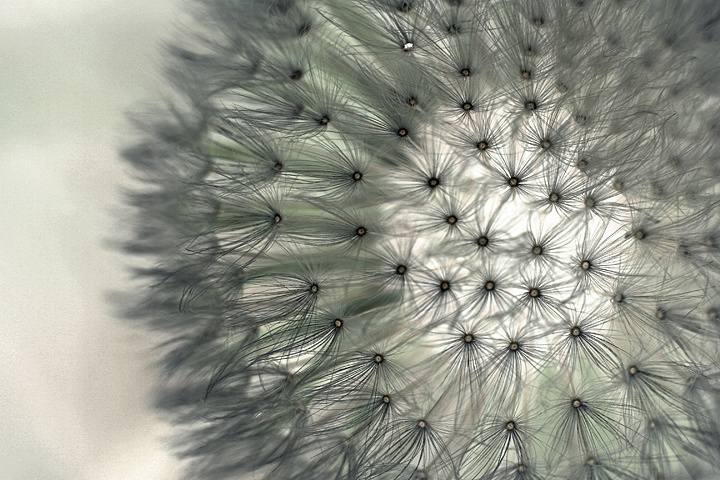 very nice macro of the dandelion. the seeds are very detailed and the white balance is perfect. nice shot. I like the offset composition and how you got in really close here, closer than other shots like this. I absolutely love this. The pale greeny tinge in parts is great; the way the seeds seem to just float - amazing. No complaints. 10. I've seen a few dandelion shots in this challenge, but yours is, IMO, by far the best. 8. Great macro shot, love the clarity and composition. Nice work. Proudly hosted by Sargasso Networks. Current Server Time: 04/18/2019 04:19:38 PM EDT.